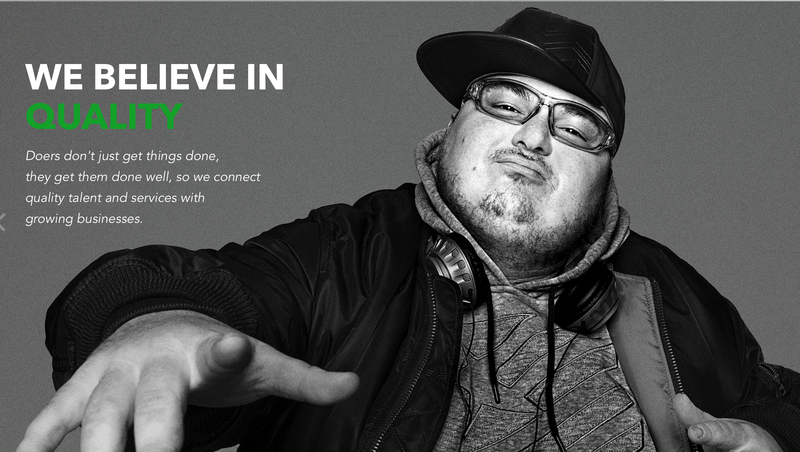 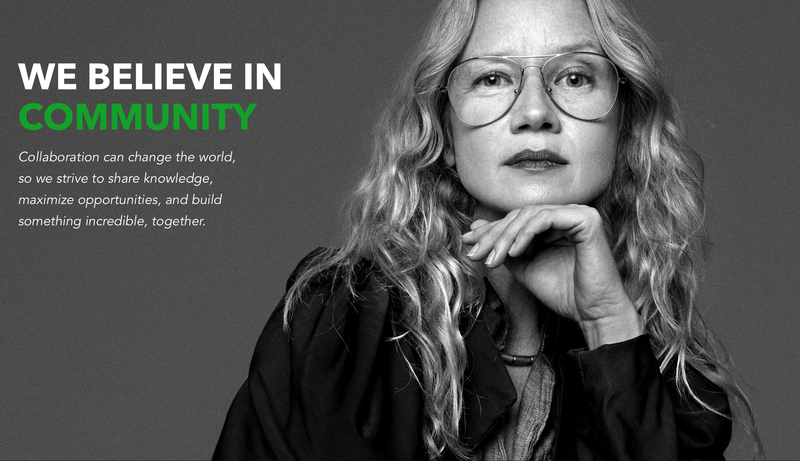 Online marketplace Fiverr has launched “In Doers We Trust,” a brand advertising campaign articulating the ethos of Fiverr’s current bootstrapping entrepreneur members – heroizing them – with the goal of bringing more into the fold. The campaign, online at fiverr.com/in-doers-we-trust, positions Fiverr to seize today’s emerging zeitgeist of entrepreneurial flexibility, rapid experimentation, and doing more with less. 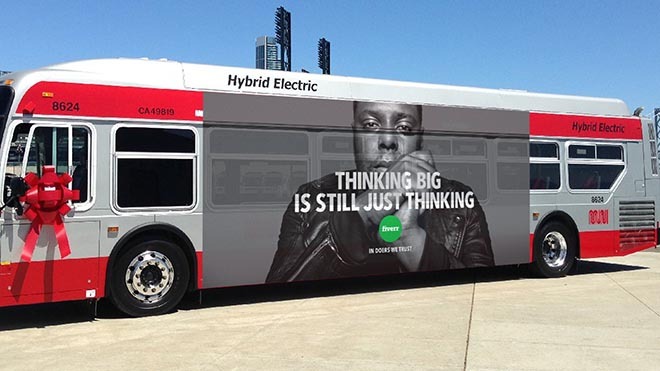 The “In Doers We Trust” campaign is designed to push against bureaucratic overthinking, analysis-paralysis, and excessive whiteboarding. 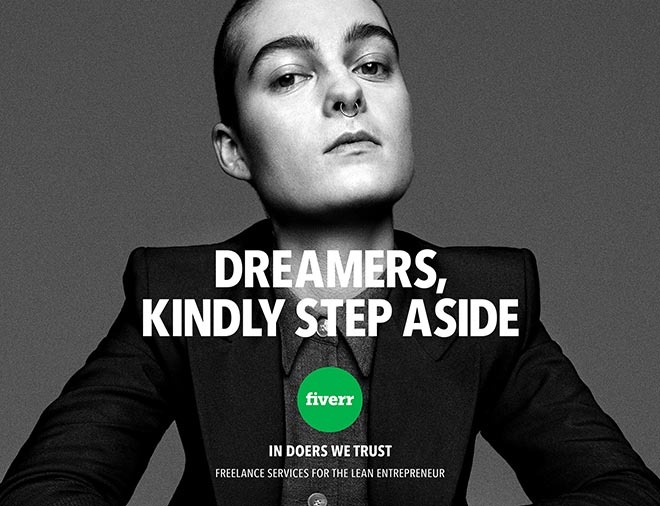 Fiverr is reaching out to both entrepreneurs and those needing their services, connecting people through a marketplace for creative and digital services, including graphic design, copywriting, voiceovers, and music and film editing. Fiverr’s mission is to democratize lean entrepreneurship by giving entrepreneurs, freelancers, small businesses and even enterprises the resources they need to get things done quickly, flexibly and fearlessly so that they can thrive in the new economy. 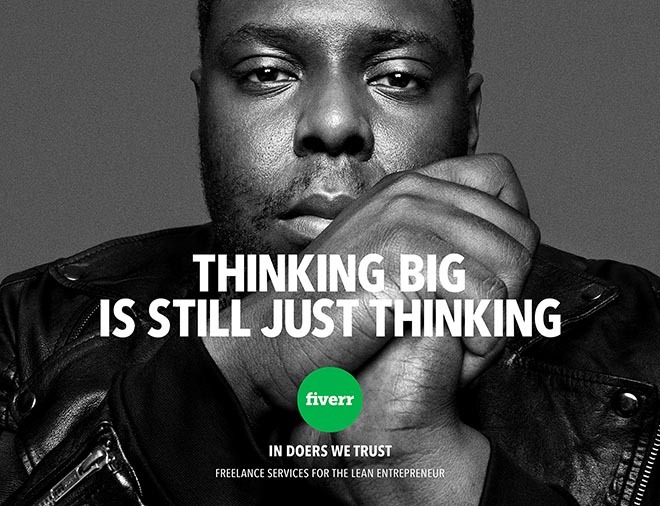 The Fiverr In Doers We Trust campaign was developed at DCX Growth Accelerator by CCO Doug Cameron, executive creative directors Al Kelly and Tommy Noonan, strategy director Laurent Bouaziz, producers Matt Bonin and Peter Ostella, designer Christopher Lee, account director Sarah Haman, working with Fiverr CEO/founder Michael Kaufman, corporate marketing VP Peggy de Lange, global head of creative Tomer Inbar, global head of digital Chris Lane. Filming was shot by director Ryan Hope via The Directors Bureau with executive producers Lisa Margulis and Sue Yeon Ahn, line producer Caleb Omens, and production designer JC Molina. 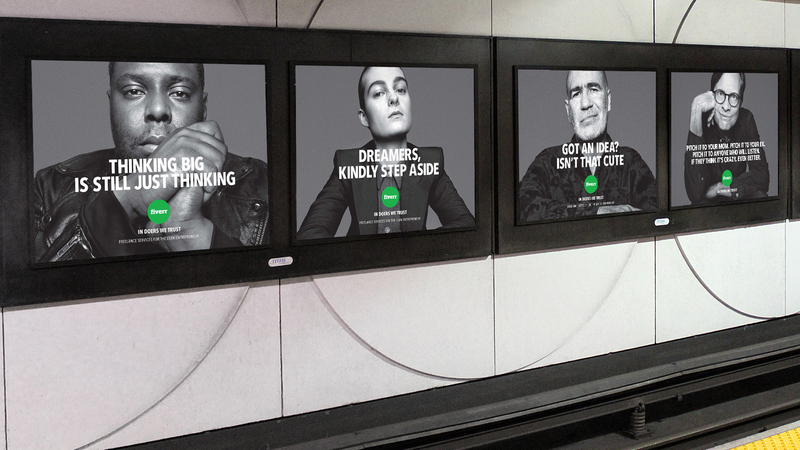 Photographs used in the OOH and digital are by Platon (known for his shots of such world leaders as Putin (on Time Magazine’s Person of the Year cover) and Obama, and Sandro, winner of Saatchi & Saatchi Best New Director award in 2011, 200 Best Photographers by American Photography (2015, 2014, 2013) and more.